Everybody makes resolutions this time of year. Many people resolve to get in shape. They join a gym or start a diet, stick with it for a month, and then lose their enthusiasm. This year, I quit the gym and resolved to read more books. I figured my shape hasn’t really changed that much in years (I’m positive it has nothing to do with the Reece’s Cups), so why not work on my mind instead. Let’s face it, that’s where all the fun (weird?) stuff happens anyway. If you’re wondering, What kind of weird stuff is he talking about? why not do a little reading yourself? 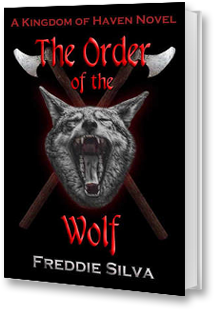 Right now, you can get book 1 of the Kingdom of Haven series, The Order of the Wolf, for free on Prolific Works as part of the Bestsellers: SF & Fantasy 2019 giveaway. If you’re a Kobo fan, it is also gonna be free on that platform from January 21st – 27th on their Free Fantasy & Horror list. 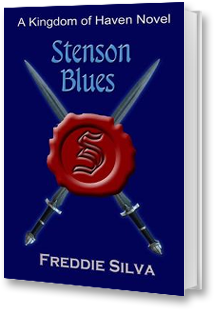 I’m also running a sale on the Kingdom of Haven book 2, Stenson Blues. It will be on sale for $.99 on Kobo from January 24th – 28th. 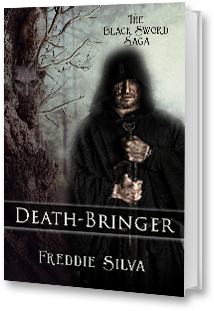 Also, don’t forget my newest book, Death-Bringer, is coming out on January 29th. It’s up for pre-order on Amazon right now and will be available everywhere else starting on the 29th. Go ahead, work your mind. It’s more fun than running on a machine, and you don’t have to wear a funny-looking outfit (unless you want to – hey, who am I to judge? ).